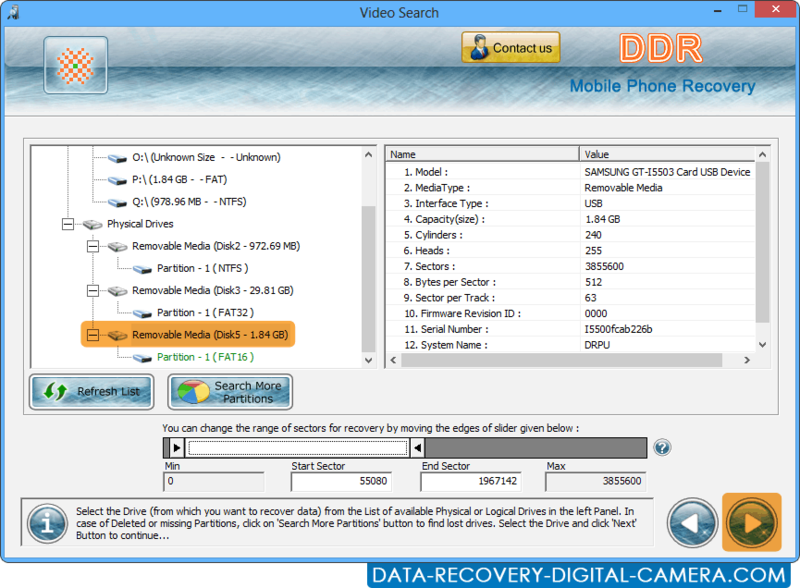 Change the range of sectors for recovery, Click on search more partitions to find other lost or deleted partitions. 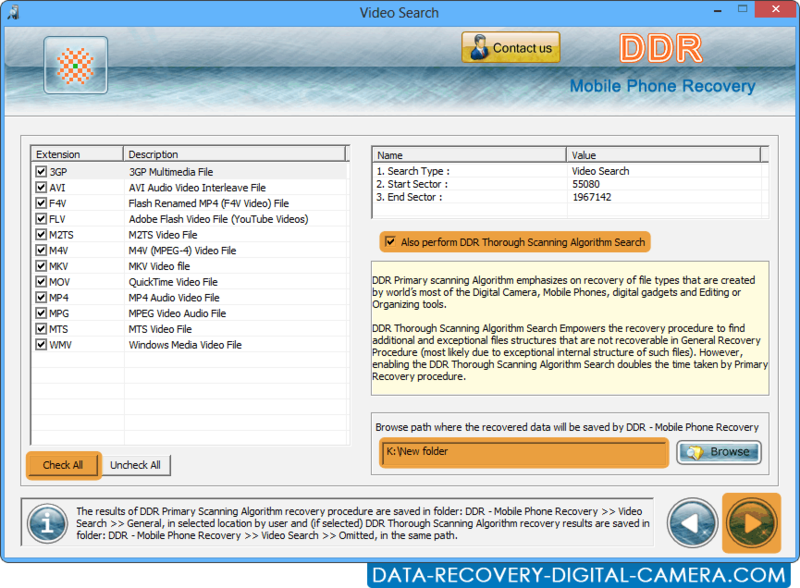 Browse the path where the recovered data will be saved by DDR - Mobile Phone Recovery. 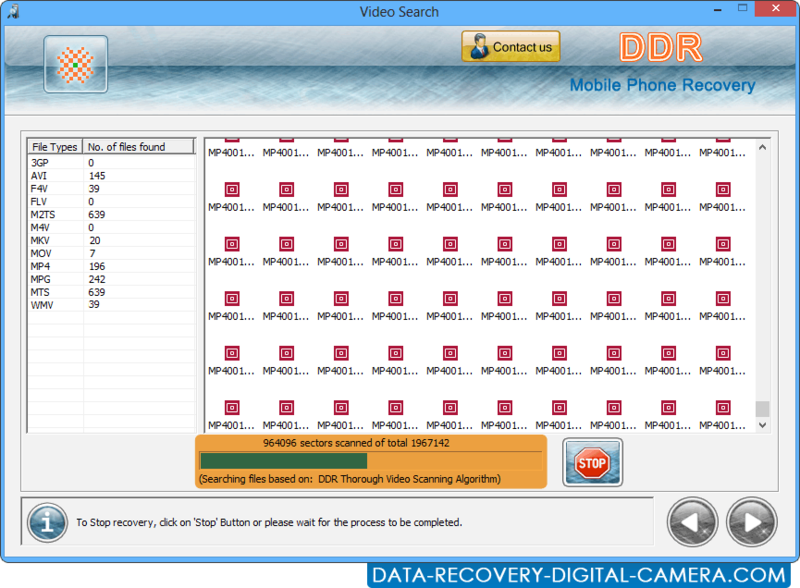 Please wait for the process to be completed.